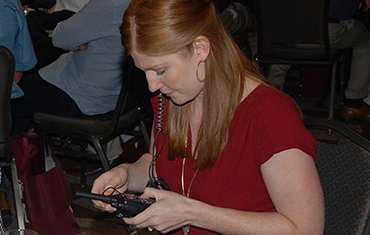 Executive Director Elizabeth Hamburg is here to help you make the most of the Aggie Network in Houston. As Executive Director of the Houston A&M Club, it’s my privilege to coordinate communications with our members, develop our corporate sponsorships, and help foster the Aggie Spirit in Houston. It’s my goal that all 100,000+ Aggies in the Houston area will get involved in networking with other Aggies and giving back to our university and community. I’d love to help YOU find the best way to do that. I’d also love to help your company reach over 50,000 Houston-area Aggies through partnering with us. Share the Spirit with me, and attend, donate, and volunteer.